Now that you have chosen your budgeting direction, system, and tools, it is time to put them all to work! A budget is only as good as you make it. If you don’t continuously work on your budgeting, it is likely to fail. The more time you put in to your budgeting, the more you will be rewarded. What will help to get you motivated to track your finances and stick to your budgets? This is a very important question for you to answer for yourself before you begin your new budgeting strategy. Once you’ve determine what will help you be disciplined and will hold you accountable, you are ready to begin budgeting. Create your breakdown on the 1st. Check accuracy and make minor adjustments to the budget on the 15th. Follow up on how the month went. Share your budgeting plan with a trusted person. – One of the best ways to keep yourself accountable is to enlist someone to help you. You could tell this person as much or as little about your budget as you are comfortable with. The details of the budget aren’t as important to this conversation as the task of budgeting and following up. Check in Often – Even though you have specific dates in your schedule, it is important to check in often. You should be looking at your budget every few days or at least every time a new bill is paid or new income is received. This is important to make sure everything is on track. Make small changes as necessary – The budgeting system you chose may not end up working as well as you’d hoped. It is okay to make changes to your process, slowly. Don’t try to make too many changes at once because it can become overwhelming. Make small changes to only the parts that aren’t working. If none of the parts seem to be working together, take a step back and consider why they aren’t working. Is it because there isn’t enough follow up? Or does money seem to be disappearing? 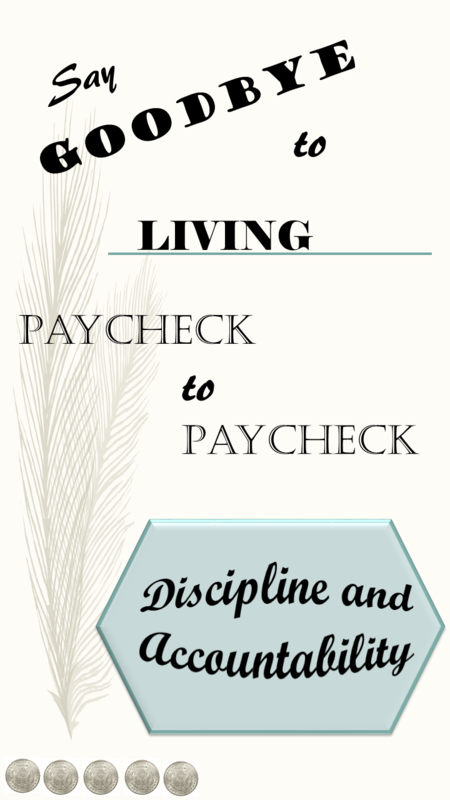 Most of the time, the budgeting issue isn’t because the tools aren’t working but because there isn’t enough discipline. Follow up – It is always important to follow up on your budgeting and your changes. You should also be checking in with your savings account every month. Is your savings increasing? If so, that’s great! If not, evaluate why. Is there a spending area that can be decreased?